Escape to Hell is Live! 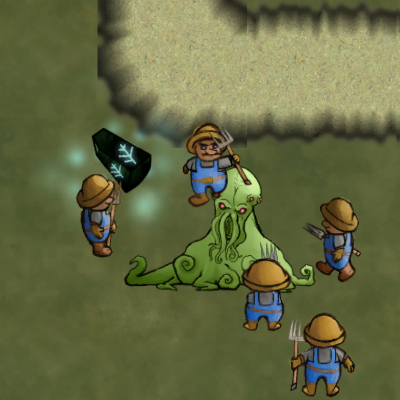 Hellscape’s game for Ludum Dare 33 has a creature from hell, lots of slime, and many angry farmers. I got a team together for Ludum Dare 33 with the theme “You are the Monster”, the result is Escape to Hell. Made in just 72 hours! You are an abomination mistakenly pulled to the surface and must fight through hordes of angry humans, gather magical shards to power a demonic portal, then return home. In an age of darkness, before science and culture had brought enlightenment to humanity, one man’s quest for power brought him to the brink of the demonic plane. Though he would not live to see his greatest accomplishment his death would open a rift and pull through it the greatest terror this land has ever witnessed. Move with WASD or arrow keys. Aim and shoot with the mouse. Use the compass in the lower left to find the next shard. Collect all shards to unlock the portal. Survive and Escape to Hell! Check out the the game’s Ludum Dare page for comments. Hellscape’s game for Ludum Dare 32 has way too many lasers. 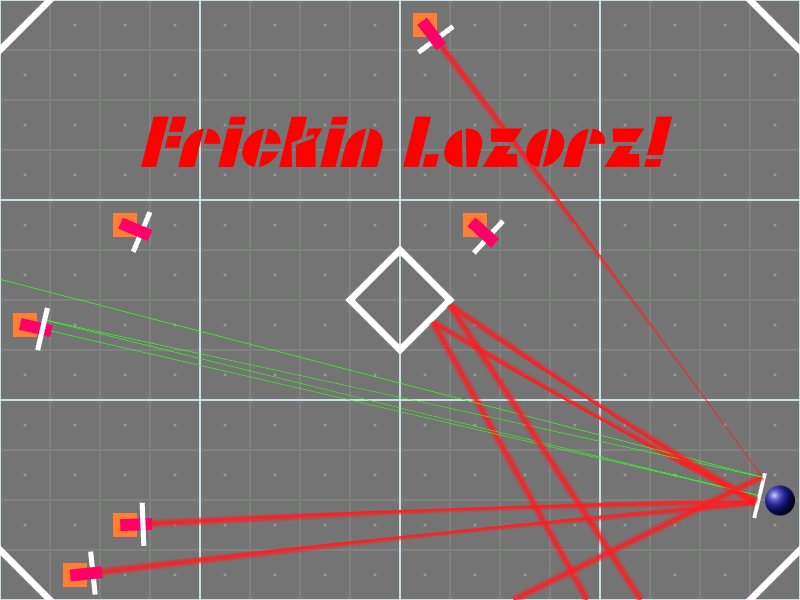 Catching up on posting my jam games, here’s my entry for Ludum Dare 32 with the theme of “An Unconventional Weapon”: Frickin Lazors. Use your mirror to defend yourself from turrets and reflect their laser beams. But each turret also has a mirror, so watch out! Aim mirror shield with mouse. Survive as long as you can. Intergalactic Bubbles Launches onto iOS!